Talent acquisition is top of mind for employers in today’s complex recruitment landscape. Modern recruitment has become extremely complex with many moving parts required to efficiently hire the best talent for business results. Organizations are realizing that the talent they hire directly impacts their ability to perform successfully, and that one poor hiring decision has the ability to damage their corporate brand, employee safety, team morale and overall revenue. This is why it has become absolutely essential to thoroughly screen every potential hire before a hiring decision is made, with a universally simple background check experience. Candidate experience is at the forefront of talent acquisition, and a large frustration of job seekers is being left in the dark during the hiring process. In fact, the top two reasons why candidates withdraw from a recruiting process are that their time was disrespected during interviews and that the process took too long overall. That dissatisfaction can often stem from lengthy screening protocols that delay decision making. Luckily, a provider that prioritizes candidates can offer innovative approaches to ease the process. A best-in-class background screening solution changes the way candidates are informed throughout the screening process, and engages them to maintain a positive brand impression. Offering candidates a dedicated portal to access the status of their background check at any time and easily upload requested documentation shows that you care about their time, and want to establish a relationship of transparency during a sometimes stressful part of the hiring process. "Ensure you can offer the flexible experiences that today's talent craves." Taking that a step further, ensure you can offer the flexible experiences that today's talent craves. With 70 percent of highly skilled applicants claiming they are more drawn to employers that offer a mobile recruitment option, ensure your background screen solution is mobile-optimized. Candidates are awarded the convenient access needed to complete their portion of the process right from their mobile device for a hassle-free approach that enables quicker hiring decisions. Knowing that 53 percent of resumes contain some kind of falsification, it is important to have a strategic approach in place to screen talent beyond just their resume. 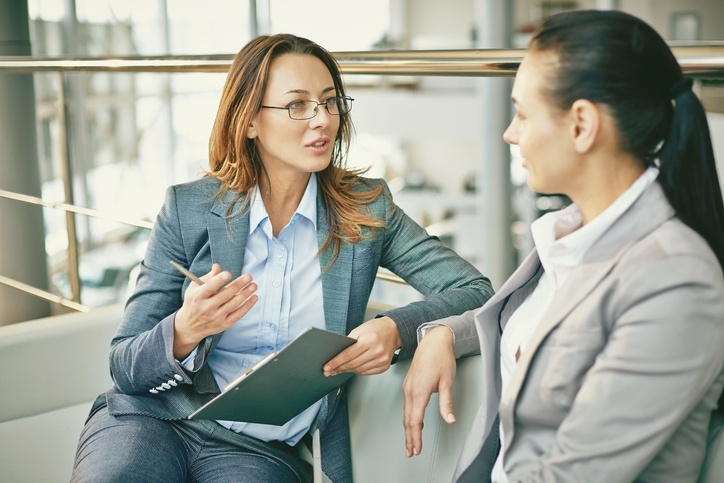 For recruiters, the background screening process can involve a lot of pressure from hiring managers and eager candidates, especially if the results will make or break a hiring decision. Without the proper technology to implement background checks, it becomes extremely difficult to complete everything efficiently. Arm recruiters with a solution that offers real-time access of screening progression to easily communicate updates in a timely manner. When background screen technology is simple to use on the recruiter end, there is a much lower risk of misplaced data that can cause compliance issues down the line. The ability to quickly order background screens and automate notifications of completion ensures a painless process for verified hiring decisions. Improving the background screen experience for recruiters and candidates helps you drive key recruiting metrics in the right direction. Of course both parties greatly value time savings, but your organization will also save in recruiting costs associated with vacancies that are left open too long, and the 80 percent of turnover that results from a bad hire. A candidate's positive experience also has a direct impact on your business. Candidates who are satisfied are twice as likely to become a customer of the hiring organization compared to unsatisfied candidates. Most importantly, making the wrong hire due to a lack of screening efficiency can seriously hurt your business. Fifty-one percent of employers reported product errors caused by hiring the wrong person, and 24 percent have lost customers as a result. The right background screen solution will ensure every candidate's background is confirmed, and your business is free of risk. Why Integrate Background Screening with a Best-of-Breed Platform? Technology and talent are the top two business priorities of CEOs, and many organizations are choosing to integrate all of the specialized tools they use for recruitment within a single best-of-breed talent platform that also acts as an extension of their core human capital management (HCM) technology. With one workflow to manage background screening activities right alongside tools like your assessments, payroll and I-9/E-Verify solutions, daily operations are much more manageable. Today's recruiting strategies often pull together numerous disparate technologies that require multiple logins and a lot of frustration when they slow your processes. Leveraging integrations can optimize those processes to align with business goals, minimize costly data entry errors, analyze results and deliver a holistic experience for recruiters, candidates and leadership. Talent acquisition is top of mind for employers in today's complex recruitment landscape. To learn more about the way your candidate selection approach impacts your business, check out How Your Talent Acquisition Strategy Affects the Customer Experience.